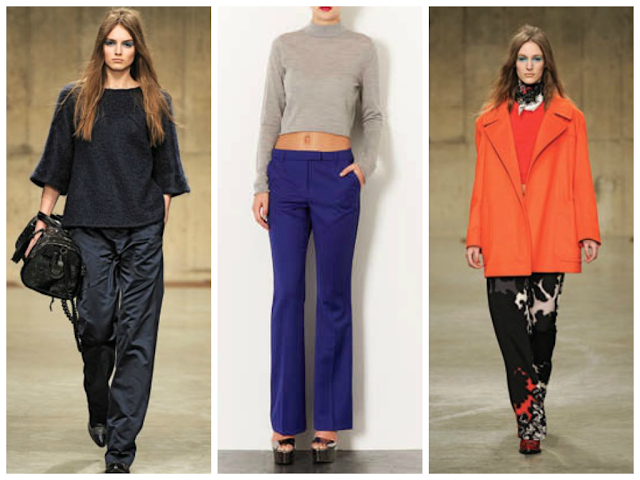 I have a new obsession: wide leg trousers! I've never really been a fan mainly because I always thought skinny trousers looked better on me, as well as skinny jeans/trousers being the trend for the past few years. I have literally fallen in love with this outfit! She looks so chic and elegant yet effortless at the same time. So I started looking on websites like WGSN and Tumblr for more inspiration. 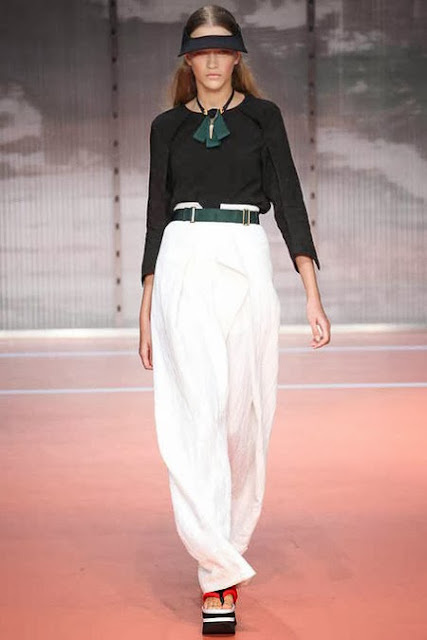 I also saw some heavier fabrics used such as leather and wool, but my favourites are with the lighter fabrics like chiffon and cotton as they look more elegant and classy. 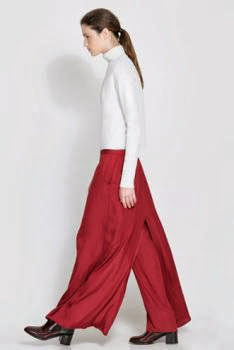 But generally, wide legged trousers are great for colour blocking as they tend to be the largest area of your outfit, great for a statement outfit! Also, they are obviously very comfortable. Say goodbye to the days of feeling claustrophobic in your skinny jeans! 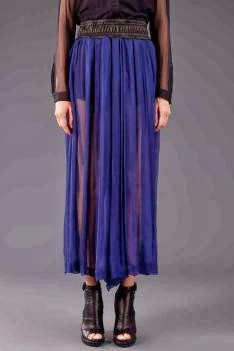 Pair them with something tight and skin fitted on top if you are worried about looking too bulky/big. This will balance out the whole outfit. 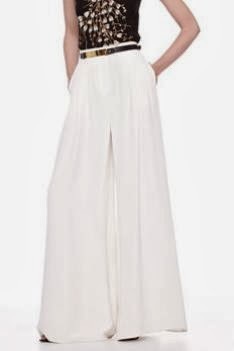 Wide leg trousers seem to be an emerging trend and are predicted to be in fashion for A/W 14/15 so be prepared to join in with my new obsession! Hope you enjoyed the post and got some inspiration.